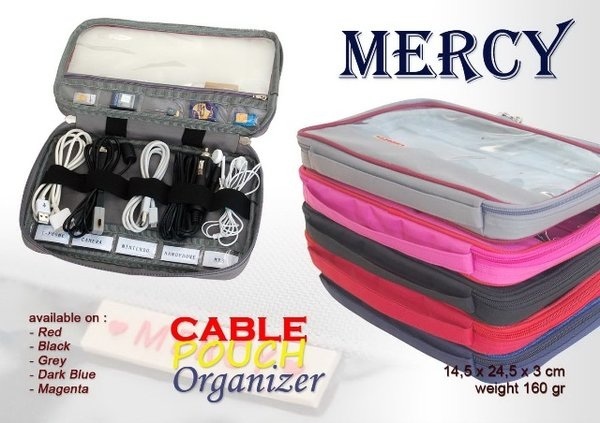 Nowadays a lot of electronic equipment can be connected to each other, such as digital cameras, computers, cellphones, etc., so a lot of data cables. 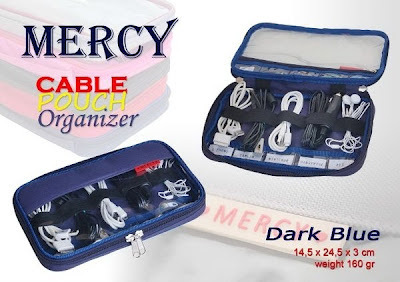 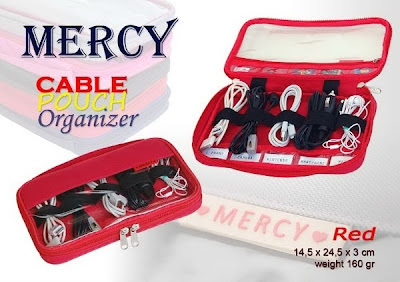 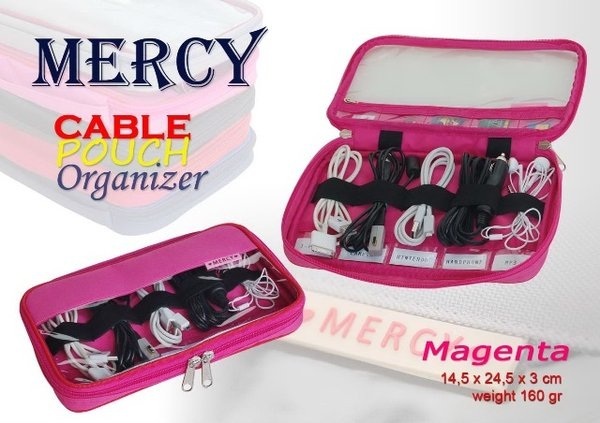 With the "Cable Pouch Organizer by Mercy" cables can be stored neatly and in-love's name, eg: data cable for Nintendo / PS, hands-free BB / I-phones, digital cameras, etc.. Equipped with a small disposable zipper pockets for storing memory cards or SIM cards, and a small bag (no zipper) to store the USB and other small accessories, or used to slip the cable name record.